Replacement: None. 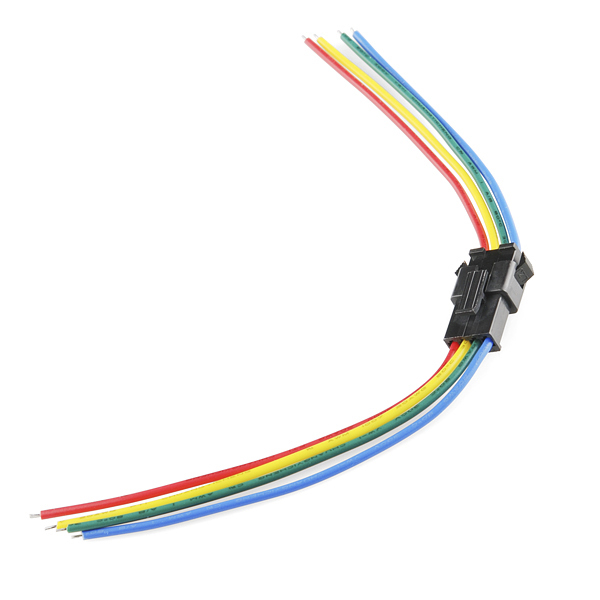 We are no longer carrying these RGB LED strip connectors in our catalog. This page is for reference only. These 4-pin JST SM pigtail connectors mate perfectly with our addressable RGB LED strips. 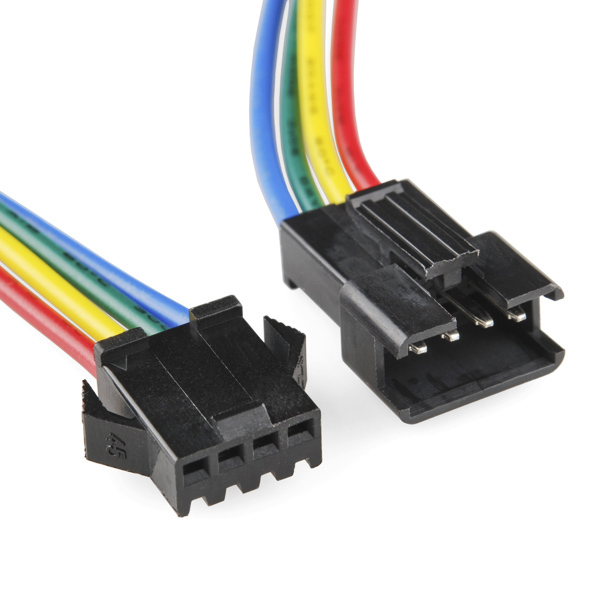 They also make a good general purpose connector for any project. Each pack comes with one male and one female connector. The wire leads are 3.5 inches long and are terminated with a JST SM connector on one end and left bare on the other. You know, this was a really convenient solution for use with your LED ring buttons, or any number of things where you're connecting two things together which are not circuit boards. It doesn't matter that it was for LED strips. You should bring this back because you lack anything else like it. I just ordered 10 sets of these, and 9 of them have red-blu, yel-grn, grn-yel, blu-red inverted electrical connections when mated. Check before applying power! Connector may be different from what is pictured. That would seem to indicate that these might not mate correctly or at all. Yes. I just ordered a set of the addressable RGB LEDs, and mine came with 3-pin JST? connectors. So, the two sets of these pigtails that I also ordered do not work with the addressable LEDs (no matter how hard I try to squeeze them together! ).